Pin your toe to the baseline and rush the net in this womens t-shirt. 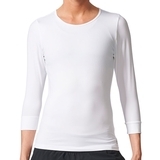 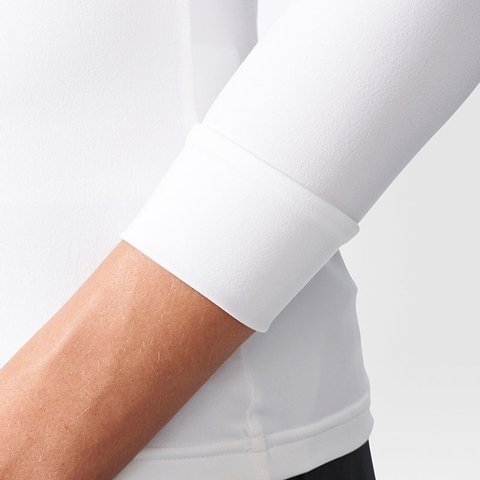 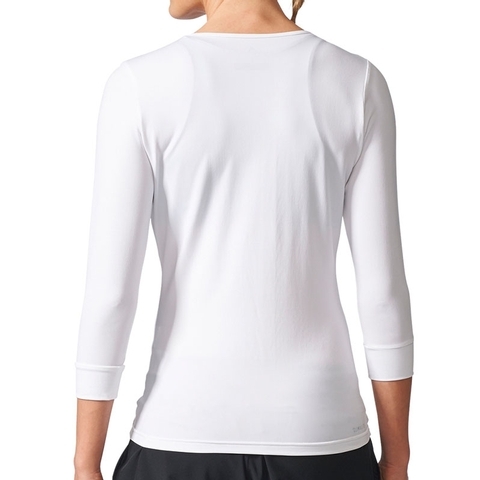 Three-quarter sleeves provide extra coverage as you hammer ground strokes in cooler weather. 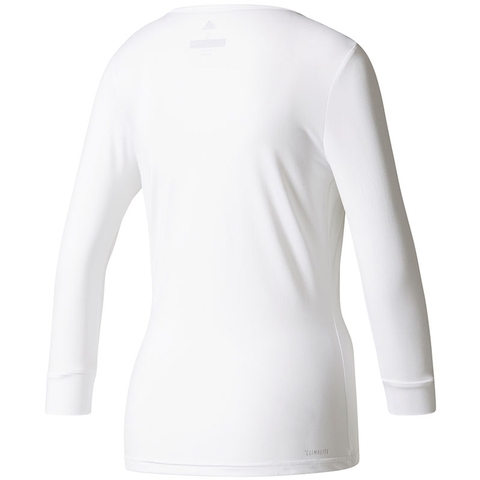 Made of soft and smoothing elastane, its cut for a slim fit and offers moisture-wicking comfort that helps keep you dry as you attack your opponents serve. 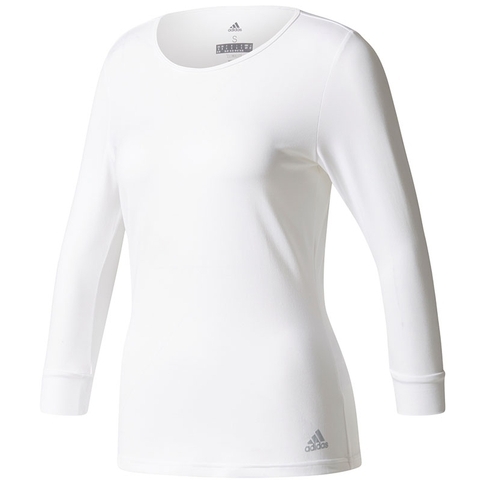 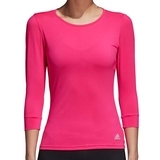 climalite® fabric sweeps sweat away from your skin, round neck, three-quarter sleeves, heat-transfer adidas Badge of Sport above hem.